Did you know an email is nearly 40 times better than Facebook and Twitter at acquiring customers? 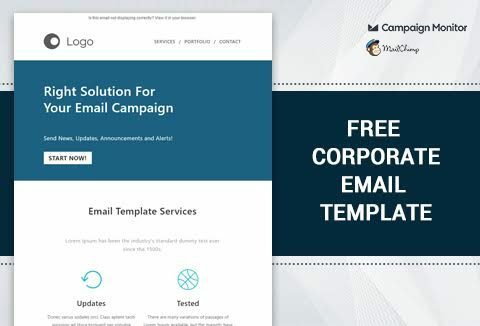 Today we bring you a FREE corporate email template to connect with your customers. Do not overuse images. Add images that add value to your email. Many people do not "turn on images" while viewing emails. So make sure that you add the "ALT" attribute for images. Do a preview of how the email will look without images for your own benefit. 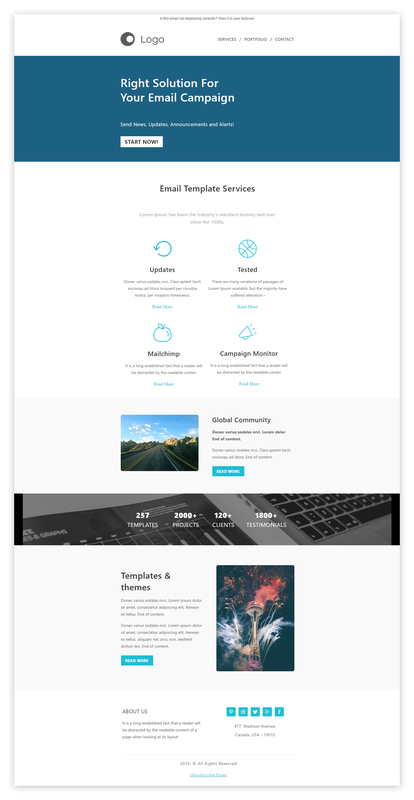 This email template is compatible with MailChimp and CampaignMonitor. You can use this template for your personal and commercial purposes. Reselling and distributing not allowed. So are you ready to grab this ultimate email template for your business for FREE? Awesome template with so many advantages. Will save you a great amount of time which you can use for other productive manners!